We live in a VUCA world. We do business with people in a VUCA world. 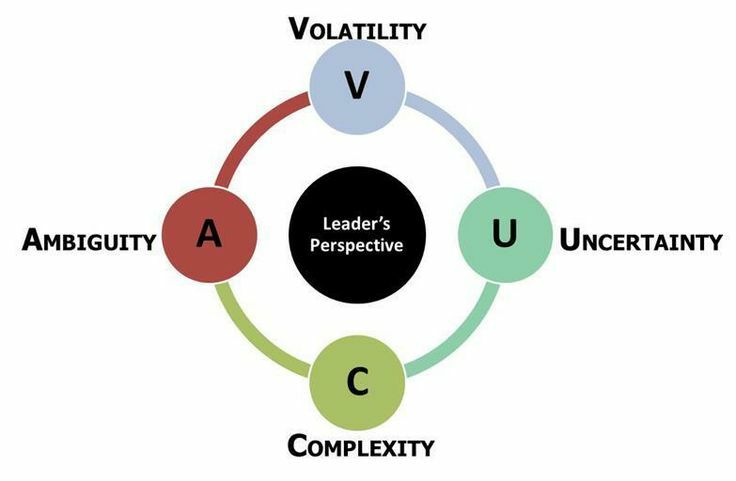 The key, I’m finding, is having leadership that understands VUCA and can paint a clear vision in order to “see around corners” as I like to say. It’s important to find solutions to problems immediately because in a VUCA world, it doesn’t take months for challenges and opportunities to mature, they strike, it would seem, without warning. I will share my piece in Spanish – tailored to my public in Latin America – when my article is published. In the meantime, anyone have any thoughts on VUCA would love to hear them!